Published on March 29, 2018. 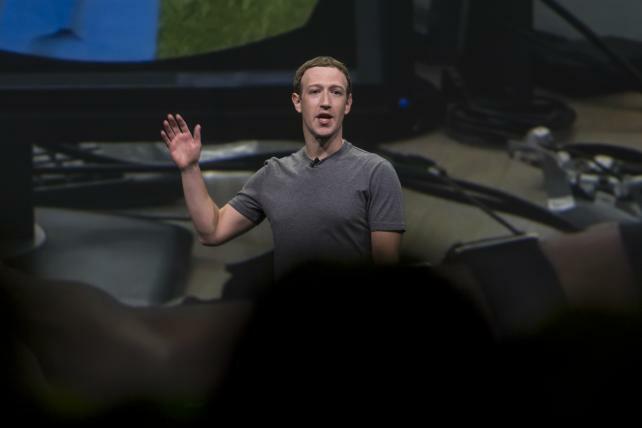 Mark Zuckerberg, CEO and founder of Facebook, speaks during the Oculus Connect 4 product launch event in San Jose, California, last October. Facebook, seeking to calm escalating concerns about leaks of user data and election meddling on its social network, said it has started fact-checking photos and videos, part of an update of efforts to increase election security. In a blog post, the company outlined its priorities for combating election meddling and initiatives to "protect and promote civic engagement on Facebook." The four main areas the company is working on are combating foreign interference; removing fake accounts; increasing ad transparency; and reducing the spread of fake news, according to the post, which included a transcript of executives' remarks to the press. Some newer features the company highlighted include fact-checking photos and videos, in addition to verifying links, starting in France with Agence France-Presse and rolling out to other countries soon. The social network also said its planned public archive for election ads will be unveiled this summer. And in the news feed, political ads will get a special label and will list who paid for the spot. "None of us can turn back the clock, but we are all responsible for making sure the same kind of attack [on] our democracy does not happen again," said Guy Rosen, a Facebook VP of product management, according to the post.